Dr Liu Ye is a senior lecturer at The University of Queensland in the School of Chemical Engineering. She was awarded her PhD in 2010 and her research focuses on sustainable and cost-effective water and wastewater treatment, including on-line process control, novel technology development, resource recovery and greenhouse gas (GHG) emissions (monitoring, modelling and mitigation of N2O) from biological wastewater treatment processes. She has more than 80 publications, including 53 fully refereed journal papers (with over 1400 citation and an h-index of 23 (Scopus, May 20, 2018)), and is a co-inventor of four patents. Liu has been awarded total research funding of more than $2.1M - including an ARC Discovery Project, an ARC Linkage project and an ARC DECRA Fellowship - along with several other industry-funded projects. She has received six scientific awards, and is an elected management committee member of the (IWA) Specialist Group on Instrumentation, Control,and Automation (ICA). She is also the member of Australia Association for Engineering Education (AAEE), Engineers Australia (EA) and as a reviewer for 18 international journals. Dr Liu Ye is also affiliated with the Advanced Water Management Centre at UQ. Liu’s research includes greenhouse gas (GHG) emissions and mitigation from biological wastewater treatment processes; sludge minimization and biogas production enhancement by using free nitrous acid (FNA) based technology; advanced biological nutrient removal (BNR) technology development; on-line process control and optimisation and resource recovery from wastes. Liu is currently course-coordinator of CHEE4060: Process Control Systems, and principal advisor of four PhD students. Leader and one of the key drivers to the development of N2O research at UQ AWMC. 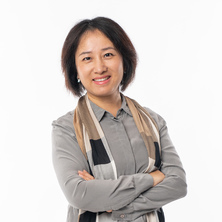 As the project manager and co-leader of the N2O research group at AWMC, Liu works closely with Australia water utilities and have built strong collaborations with several industry partners (Western Australia Water Corporation, Melbourne Water Corporation, and South Australian Water Corporation). Developed the first systematic approach to quantify the N2O emissions from wastewater system with surface aerators. It was successfully applied to estimate the N2O emission factor for a well-mixed full-scale oxidation ditch wastewater treatment plant in Perth. Her ground-breaking research has led to substantial development and commercialisation of the free nitrous acid (FNA) technology. Her research revealed, for the first time, FNA at a low concentration can completely suppress bacterial growth. This research, together with another research result, underpinned the application of FNA as a green chemical to control biofilm growth on sewers and to reduce the sludge production during urban wastewater treatment. Could nitrite/free nitrous acid favour GAOs over PAOs in enhanced biological phosphorus removal systems? Ye, L., Ni, B.J., Law, Y., Byers, C. and Yuan, Z. (2013). A novel methodology to quantify nitrous oxide emission from wastewater treatment systems with surface aerators. In: 10th IWA Leading Edge Conference on Water and Wastewater Technologies, Bordeaux, France, (). 03-06 June 2013. Wang, Qilin, Pijuan, Maite, Ye, Liu and Yuan, Zhiguo (2012). A novel free nitrous acid (FNA) – based technology for improving sludge biodegradability. In: 9th IWA Leading-Edge Conference on Water and Wastewater Technologies, Brisbane Australia, (). 3-7 June 2012. Pan, Yuting, Ye, Liu and Yuan, Zhiguo (2012). Effect of pH on N2O reduction and accumulation during denitrification by methanol-utilising denitrifiers. In: IWA World Water Congress and Exhibition 2012, Busan, Korea, (). 16-21 September 2012. Pan, Yuting, Ye, Liu and Yuan, Zhiguo (2012). The effect of H2S on N2O accumulation during denitrification. In: 9th IWA Leading-Edge Conference on Water and Wastewater Technologies, Brisbane, Australia, (). June 3-7. Pan, Yuting, Ye, Liu and Yuan, Zhiguo (2012). The effect of electron competition among different steps of denitrification on N2O accumulation. In: IWA Nutrient Removal and Recovery 2012 (IWA NRR 2012), Harbin, China, (). 23-25 September 2012. Ye, Liu, Pijuan, Maite and Yuan, Zhiguo (2011). The effect of free nitrous acid on the anaerobic metabolism of Polyphosphate Accumulating Organisms (PAOs) and Glycogen Accumulating Organisms (GAOs). In: Advances in Enhanced Biological Phosphorus Removal. Nutrient Recovery and Management Conference 2011, Miami, Florida, USA, (). January 9 – 12 2011. Liu, Ye, Peng, Yong-zhen, Pijuan, Maite, Tang, Bing and Zhao, Kai-feng (2009). Nitrogen removal via nitrite in domestic wastewater treatment using combined salt inhibition and on-line process control in SBR. In: Control to achieve Nitrogen removal. 10th IWA Conference on Instrumentation, Control & Automation, Cairns, Australia, (). 14-17 June. Note for students: Dr Liu Ye is not currently available to take on new students.